As the global population increases exponentially, so does the need for construction to house and support that population. With an ever-changing landscape and ever-changing requirements in the construction industry, the inherent need for technological aids and processes remains a fixed constant, seemingly here to stay for some time. One such technological construction process gaining popularity worldwide is BIM, or Building Information Modelling. As it is a fundamentally technical process, the need for technical expertise is paramount for success. This niche area of proficiency lends itself to the advantages of BIM outsourcing and architectural CAD outsourcing services to India in particular. We look at five of the main reasons why this is so, but first, what is BIM, how does it benefit users and what are the preferred services generally outsourced? BIM is a process for designing, tracking and editing detailed information on a construction project ñ prior, during and post-construction. A Building Information Model is the result of the process, and it contains the digital description of almost every part of the structure. BIM helps deliver safer, more productive projects on time and within budget. BIM provides correlated information. Objects in the model are connected to manuals, specifications, data, images and warranty details. BIM software functions in the process of construction include: preliminary design, analysis, shop drawing and fabrication, construction management, model review, collaboration and communication. Indian outsourced companies can work with construction companies in the West to cater to residential, commercial, educational, corporate, industrial, healthcare and hospitality construction industries. The BIM process steers through the life cycle of a structure from design conceptualisation to the demolition stage. BIM outsourced companies in India are able to work in five dimensions, besides the traditional three dimensions in CAD software: length, breadth and depth, with cost and time being the two additional dimensions. In India, the cost of these services is more economical to begin with, as the abundance of choice in the Indian market means the rates will be competitive. Also, there are savings on expenses associated with training, investing in software and updating it and employing trained staff. Outsourcing BIM means that the best tools will be used without actually investing in them. Indian outsourcing companies have the experience and expertise in using the latest software, CAD technologies and a large pool of human resources. This frees up existing staff to concentrate on other tasks. Indian companies have been quietly plugging away at outsourced CAD services for some time now, and BIM companies in India have been making significant forays into the industry in the last several years. They include a range of experience, from BIM services for mega projects in Western countries in infrastructure, healthcare and airport development to smaller projects involving Revit family creation and BIM for documentation, spatial management and renovation projects. Years of experience in the field have led to processes which include dedicated teams for each client, leading to more satisfactory outputs. Technical teams in India may consist of architects, structural and civil engineers, designers, project managers, estimators and CAD draftsmen with extensive experience. Qualified personnel are in abundance in a country with the second largest population in the world. These professionals, using Revit or other relevant software tools, can design BIM components of projects with accurate attention to technical details. They can provide design drawings, prepare drafts, create 3D models and make design alterations. Since BIM processes can be shared on the cloud and real-time video conferencing is increasingly being used, Western companies are able to monitor outsourced project services overseas. This way, architects, engineers, contractors and other stakeholders in the project in India and the West are connected and are able to update and participate in collaboration and ensure that ISO standards are maintained every step of the way. The ISO standards that apply specify a methodology that unites the flow of construction processes with the detailed information required by this flow and enables interoperability between software applications used in the construction process, to promote digital collaboration so that there is accurate, reliable and high-quality information exchange. Accuracy and reliability are part of an important work ethic in India, especially among those looking to continue and expand their reach. Outsourcing is a highly competitive industry and, as such, sensitive information in the form of data security must necessarily be professionally and securely dealt with. Indian outsourcing companies follow data security laws and will be liable in case of a security breach. The prevailing professional atmosphere in the industry ensures that businesses have nothing to fear while negotiating terms and addressing security concerns while dealing with outsourced companies in India. In conclusion, when it comes to understanding, executing and delivering BIM services with accuracy and on time, global trends indicate a preference for BIM companies in India because they are economical, experienced, technically well qualified, attentive to quality and maintain security at optimal levels. 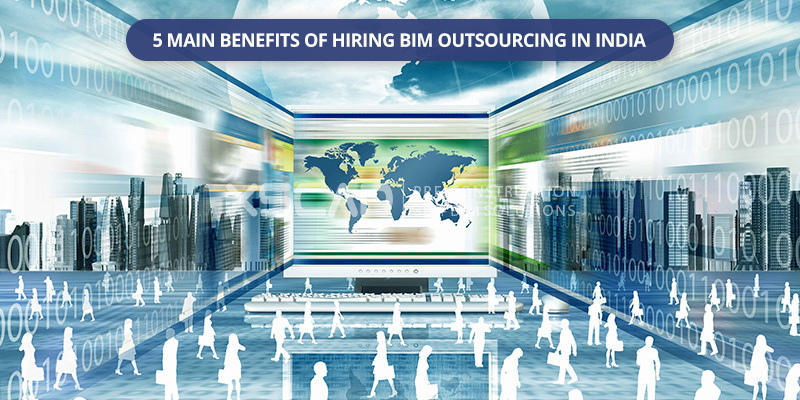 As the league of technical human resources and BIM companies in India continue to grow, the qualities outlined above are set to be further enhanced. Kuldeep Bwail is a Director at XS CAD Limited, a leading pre-construction planning company providing 3D BIM Modeling, architectural rendering and other design services to Homebuilders, Architects, Retailers, etc. operating in the UK, US, Australia, Canada, Europe and India. He has more than 18 years of experience driving brand sales and marketing strategies. He has been actively involved in XS CAD’s Planning, sales, marketing and operations since 2002. He has worked closely with leading homebuilders, architects and contractors in various region like US, UK, Australia and Canada. 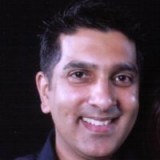 In qualification – Kuldeep completed BA Honours Degree and also post Graduate in marketing strategy from the UK. He contributes to XS CAD Blog, Ezine and others.